Building interactive installations is always a challenge. 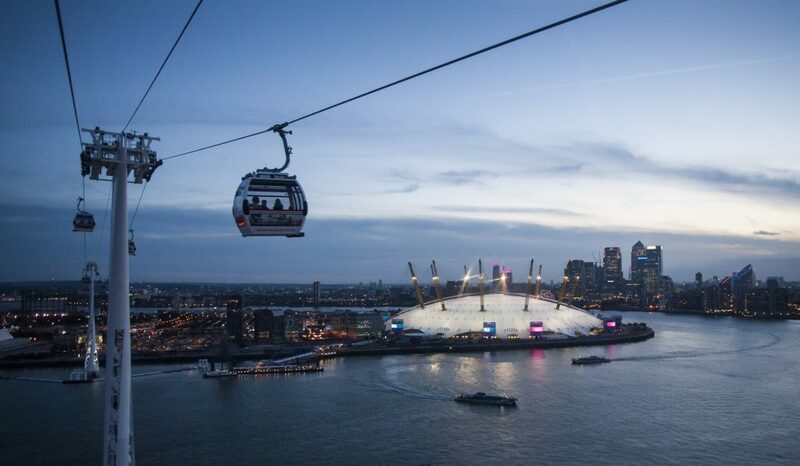 For the Emirates Air Line we had the additional challenges of 4K, Multi-user touch and real-time weather and flight data integration. Working with the design agency Geometry, we were tasked with building the software to drive a Video-wall installation, housed in the Air Line cable car terminal at the O2 in East London. The core of the experience is a view of the Earth, which users can zoom into by touching. The system also runs an ‘attract mode’ when it hasn’t been used for a while, inviting users to interact. One feature of the map is the real-time updating of the sun across the Earth during the day. This was one of the hardest effects to achieve because of the resolution of the imagery used in the screen. Not only having a 4K world map, but the ability to magnify it meant creating large tile sets rather than using a single image so we could improve performance. 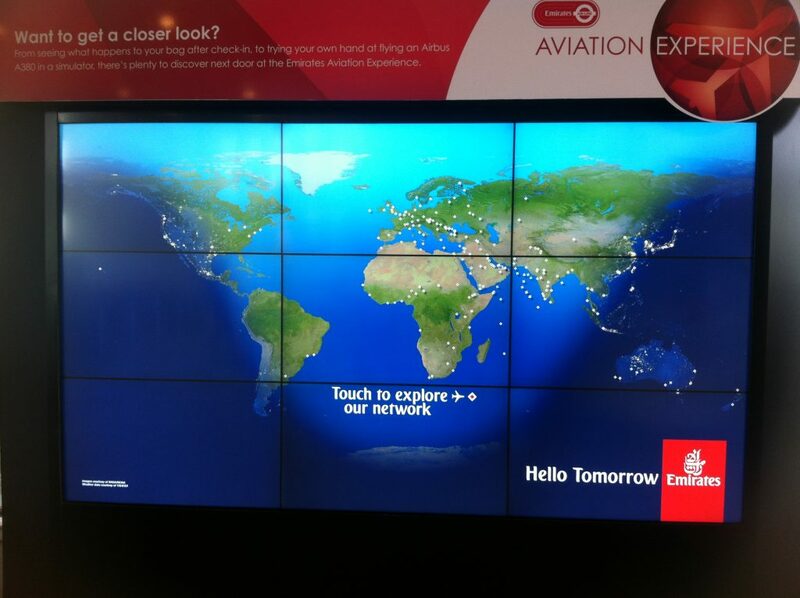 The map features destinations Emirates fly to, and by touching these the latest weather conditions are displayed. We also have a real-time display of Emirates planes on their flightpaths. To cope with potential network issues (always a risk in any live application) we were able to fall back to a recorded set of flights. The final system runs on Kenziko’s own render engine, based on HTML5 technology.